You are likely well aware of the important role soil fertility plays in supplying the essential nutrients needed for crop production. But you may be new to the agronomic use of silicon (Si). 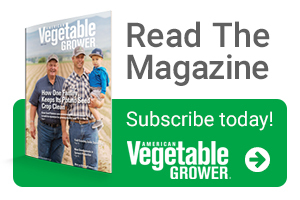 Based on years of field and greenhouse research conducted at Rutgers New Jersey Agriculture Experiment Station, we now can offer guidelines on the beneficial use of this element. Unlike nitrogen, phosphorus, and potassium, and a long list of micronutrients recognized as essential for plants to grow and complete their life cycle, Si is regarded as a quasi-essential or beneficial element. In fact, it’s now officially designated as a “plant beneficial substance” by the Association of American Plant Food Control Officials. Suppliers/producers are now permitted to list the content of plant-available silicon on fertilizer product labels. It may seem surprising that silicon nutrition could ever be a limiting factor for crop production. Most mineral soils already contain as much as 28% silicon. But that silicon is mostly locked in the structure of soil minerals, where very little of it is available for crop uptake. Thus, supplying Si from a soluble fertilizer source can benefit many crops. The benefits of enhanced silicon nutrition include resistance to pathogens and better tolerance of environmental stress. One of the most remarkable benefits is its ability to suppress powdery mildew disease. Crops susceptible to this disease include pumpkin, cucumber, wheat, Kentucky bluegrass, and dogwood. Fungicides often are used to control powdery mildew, but this approach to disease management is unsustainable over the long term since diseases tend to develop resistance to chemical sprays. In the case of certified organic production, growers need alternatives to prohibited pesticides. Research conducted on New Jersey soils compared various fertilizer sources for plant-available silicon and powdery mildew suppression using pumpkin as a test crop. The most effective material for supplying plant available Si and for disease suppression was found to be wollastonite — a calcium silicate mineral mined from the earth. These naturally occurring minerals generally are approved for use in organic farming. However, organic growers should check inputs with their certifier to be sure about a particular substance. Some wollastonite products already are Organic Materials Review Institute-approved. Amending soil with wollastonite is a means for suppressing powdery mildew on certified organic farms. Besides supplying calcium and silicon for plant nutrition and disease suppression, wollastonite also can neutralize soil acidity. When wollastonite is applied at rates equivalent to recommended rates of liming, it can replace the need for calcium carbonate limestone. As a result, wollastonite is a multipurpose soil amendment that helps crops resist powdery mildew disease, supplies plant available calcium and silicon, and serves as a substitute for agricultural limestone. Further information on silicon plant nutrition and soil fertility can be found on the Rutgers New Jersey Agriculture Experiment Station website. 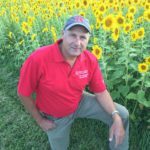 Joseph Heckman is an Extension Specialist in Soil Fertility with Rutgers University. See all author stories here.